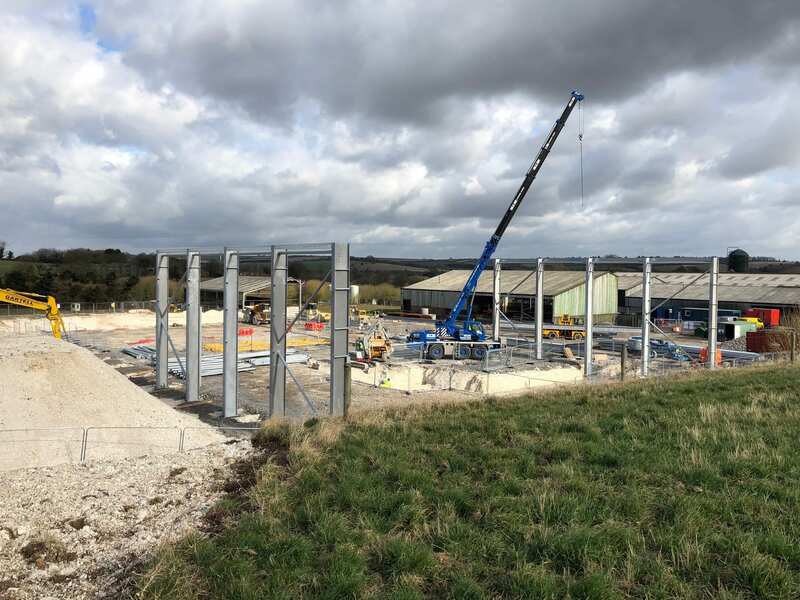 In December 2017, GP Planning Ltd successfully secured planning permission for the construction of a Grain Drying and Storage Facility at Mayfield Farm, Compton on behalf of Beeswax Dyson Farming Ltd (The Applicant). The proposed Grain Drying and Storage Facility will be a steel portal framed rectangular building with a pitched roof measuring approximately 74 metres in length by 38 metres in width (2812m2). The total capacity of the new Grain Drying and Storage Facility will be approximately 10,000 tonnes of grain. The Applicant has recently acquired Mayfield Farm whereby vacant buildings on the site have been identified for future uses associated with an active farm, however none of which are considered suitable for a modern Grain Drying and Storage Facility which complies with current European Union Food Hygiene Regulations.